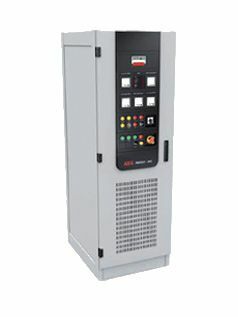 Our industrial charger systems exist in two options: single phase or three phase input. They can deliver multiple output voltage ratings, and can be used as direct power supply or to recharge Nickel-Cadmium or Lead-Acid batteries. With an ingress protection from IP20 up to IP43, they can be delivered with or without distribution cabinets.